Asphalt parking lots are designed to last between 20 and 40 years, but a well-designed preventative parking lot maintenance program can extend your lot well beyond its life expectancy. Conversely, property owners that fail to perform proper maintenance may find themselves replacing their asphalt sooner than anticipated. To prolong your pavement’s life, it’s important to plan crack filling, sweeping, sealcoating, striping, proper snow management, ice and water drainage, and a laundry list of other tasks throughout the year. This checklist provides a seasonal game plan for preserving your asphalt parking lot. Plow before applying salt, sand, or deicers. These materials should be used to disrupt the bond between the asphalt and snow or ice. Salt is only effective above 15 degrees Fahrenheit. For lower temperatures, use a different deicer. Use handheld sprayers and shakers to apply deicers instead of applying it on your parking lot by hand. 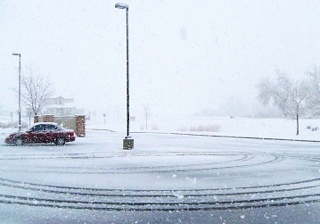 This will help prevent you from overusing materials and control the cost of your winter parking lot maintenance. 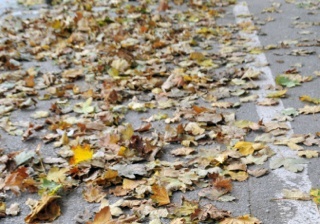 Remove leaves from your parking lot regularly. Believe it or not, their chemical composition can damage your surface. A properly planned and executed parking lot maintenance schedule will preserve your asphalt and put off expensive repairs. Taking care of the steps outlined above is a great start to maximizing your parking lot’s useful life.